A sweet, uplifting story set in a bleak and sorrowful world. 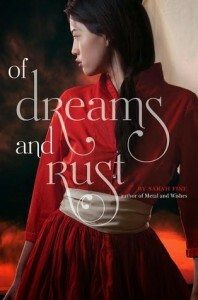 The sequel to Of Metal and Wishes is much more action-packed and even more exquisitely romantic. I loved it in spite of the main character's fickleness towards the two males in her life. The turmoil of their world, and the gutsy determination of the characters, more than overshadow the vexatious love triangle going on. Making this second book in this duology even more likable than the first.